Many people have experienced ringing in their ears, for instance after a loud concert, a sports event or after using a very loud machine like a chainsaw. It usually goes away on its own. Sounds in your ear (tinnitus) can be caused by many different things. They are only very rarely a sign of a serious medical condition. Sometimes people develop tinnitus for no known reason – but then it usually doesn't last for more than a minute. In some people, though, the sound continues over a longer period of time. If tinnitus lasts longer than three months, it is considered to be chronic. It is usually quite mild: Although it is annoying, people can learn to live with it. Yet sometimes it’s so bad that their everyday lives and quality of life are severely affected. The sounds can lead to constant stress and make it hard to concentrate and sleep properly. The word “tinnitus” comes from the Latin word for “ringing.” But the sounds that people with tinnitus hear also include whistling, buzzing, humming, hissing, clicking or knocking. They may be heard in one or both ears. Some people say it feels like the sound is coming from inside their head, whereas others say it sounds like it is coming from outside. Tinnitus may be constant or it may come and go. It is sometimes very quiet and then really loud again. It can be, but isn't necessarily, associated with hearing loss. Most people with tinnitus have normal hearing otherwise. Tinnitus is very often caused by loud sounds that damage the sensory cells of the cochlea in the inner ear. Most of those affected have spent a lot of time in loud places or had what is known as an acoustic trauma. This is when your ears are briefly exposed to an extremely loud noise, such as an explosion or nearby gunshots. If the noise in your ear pulses to the rhythm of your heartbeat, it is called pulsatile tinnitus. This type of tinnitus can be caused by various things, for instance high blood pressure. In rare cases, tinnitus is a side effect of medication such as certain kinds of antibiotics, cancer drugs or anti-malarials. For many people, though, no cause of tinnitus can be found. Doctors call this type of tinnitus “primary” or “idiopathic” tinnitus. It is not exactly clear how and why hearing damage caused by loud sounds can lead to tinnitus. This also makes it harder to find an effective treatment. According to one of several theories, the damaged or irritated sensory cells in the cochlea can no longer send signals to the brain. As a reaction to the lack of real signals, the nerve cells in the brain’s center of hearing become more active and produce "phantom sounds" anyway. This is similar to how phantom pain develops following amputation. 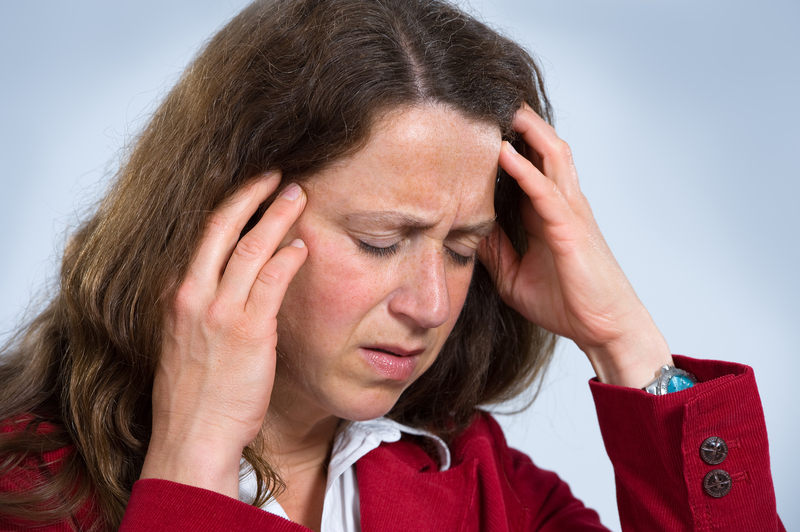 It is debatable whether tinnitus can be caused by stress. But there isn’t a clear link: So far, relaxation techniques haven’t been shown to have a direct impact on tinnitus. Tinnitus is quite common: Between 5% and 15% of all adults experience a longer-lasting episode of tinnitus at some point in their lives. In about 10% to 20% of people who have tinnitus, the symptoms are so bad that they have a considerable impact on quality of life, and treatment is needed. Tinnitus is most common in people over the age of 50 years, but in rare cases it can also affect children. Nobody can predict the exact course of tinnitus. If the cause is known and treatable, it may go away again. If it isn’t clear what is causing the tinnitus, it may continue and become chronic. Some people’s hearing becomes more sensitive too, which can be unpleasant in loud places (hyperacusis). Chronic tinnitus can affect quality of life and lead to problems with sleep and concentration. If it gets very bad, some people may withdraw socially and go out less. This can sometimes even lead to depression or contribute to its development. The problems and trouble caused by chronic tinnitus may also improve over the years. The doctor first asks about the symptoms: what sounds you hear exactly, in what situations you hear them, and whether they are accompanied by other symptoms such as earache or a feeling of pressure in the ear. In primary (idiopathic) tinnitus, both ears are usually affected. If the sounds are only heard in one ear and are accompanied by other symptoms such as earache, the tinnitus is likely to have a specific cause which is usually treatable. It's also important to pay attention to the right dose of medicine, because some medications can cause sounds in your ear if you take too much of them – for example, very high doses of acetylsalicylic acid (the drug in medicines like Aspirin). The talk with the doctor is usually followed by an ear examination and a hearing test. The doctor will also listen to the blood vessels in your neck and recommend further tests if necessary. It may be a good idea to have a dental examination to rule out any problems with your jaw. Subjective and objective tinnitus: Subjective tinnitus can only be heard or perceived by the person who has it. Possible causes include problems with the auditory (hearing) system or the nerves that belong to it. In objective tinnitus, which is very rare, the doctor can hear the sounds too or detect the nerve signals causing the sounds. This is the case with tinnitus that is caused by blood-vessel-related problems, for instance. Here the doctor can hear a pulsing noise in the carotid artery in the neck with the help of a stethoscope. Primary and secondary tinnitus: If no clear cause can be found, it is referred to as primary tinnitus or idiopathic tinnitus. If there is an identifiable cause, it is known as secondary tinnitus. Possible causes include a perforated eardrum or a vascular (blood vessel) disease. Acute and chronic tinnitus: If the sounds last longer than three months, it is considered to be chronic tinnitus. Various levels of severity: Tinnitus can be mild and hardly affect your everyday life, or only occur from time to time but then be distressing when it does. Sounds that are constantly and clearly heard are more serious: They can have a big impact on your daily life and work, for instance because it is hard to sleep and concentrate properly. It is generally always a good idea to protect yourself from sounds that are too loud. One easy way to do this is to avoid places with a lot of loud noise or to wear earplugs, for instance. This lowers the risk of developing tinnitus in the first place, or of existing tinnitus becoming chronic. The treatment options for tinnitus will depend on the cause. The underlying condition is then treated – for instance with medication to lower blood pressure. If treatment is possible, the tinnitus will usually go away. It is harder to treat tinnitus if the cause is unknown, though. The main aim of treatment is then to reduce the symptoms and find ways to cope well in everyday life despite having tinnitus. If the tinnitus is associated with hearing loss, a hearing aid might be considered. A wide variety of products are available for the treatment of tinnitus, including herbal products, dietary supplements and various medications such as steroids or carbamazepine. None of these treatments have been proven to help. And some may have side effects. The best-studied treatment is cognitive behavioral therapy (CBT), which involves learning how to cope better with chronic tinnitus. Although this doesn’t make the sounds go away, it can lead to an improvement in quality of life. If tinnitus arises suddenly, doctors often suggest immediate treatment with an infusion (a drip), for instance with a saline (salt) solution – particularly if the tinnitus is associated with sudden hearing loss. Sometimes people are given an infusion with hydroxyethyl starch (HES) instead. But no studies have shown that infusions with this drug help. On the contrary, HES can trigger severe allergic reactions, with itching all over the body. There are many sources of support for people living with tinnitus, including support groups and information centers. But there are often regional differences in how these services are organized, and they aren't always easy to find. You can use our list to help you find and make use of local services in Germany. Deutsche Gesellschaft für Hals-Nasen-Ohren-Heilkunde, Kopf- und Hals-Chirurgie (DGHNOKHC). Hörsturz (Akuter idiopathischer sensorineuraler Hörverlust). S1-Leitlinie. AWMF-Registernr. : 017-010. January 2014.